NC NOW Legislative Update #3 of the Short Session, 4 Jun 18 talks about the budget as the most controversial in modern history—not for what it contains, but for the process it went through. 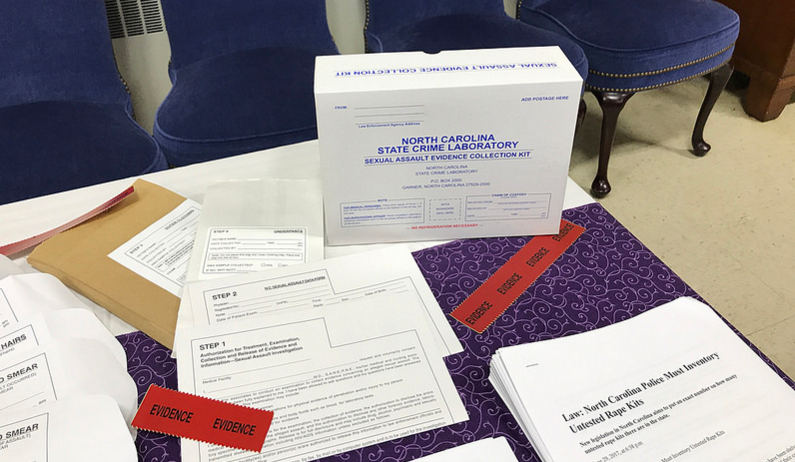 The process was explained in detail in NC NOW’s Legislative Update #2 for the Short Session, 28 May 18. This week, people learned more about some inappropriate recipients of taxpayer money, and some of the things the budget did and did not do. 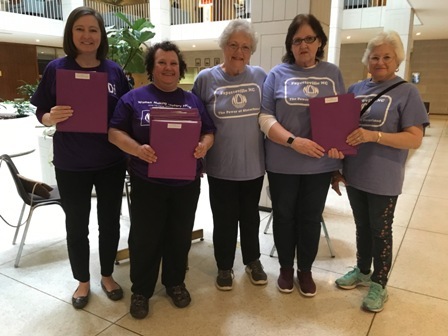 NC NOW members delivered the pro-choice signature ad packets to all of our representatives in the NC House and NC Senate on Monday, 6/4/18. The packets included a copy of the pro-choice signature ad that we ran in Indy Week in January (as we do every year), and a letter from NC NOW. This year the letter was somewhat focused on the terrible budget process which blocked input from all Democratic lawmakers and maybe some Republican ones as well. The letter also talked about inappropriate uses of taxpayer money in the budget. See the letter below. First and foremost, the NCGA Short Session budget machinations. “The Republican leadership has devised a plan to pass their budget bill without going through the normal appropriations process and blocking any amendments. 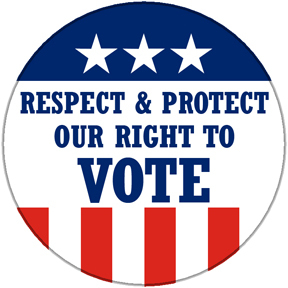 ” And some response to this underhanded and hypocritical move, including an action you can take. 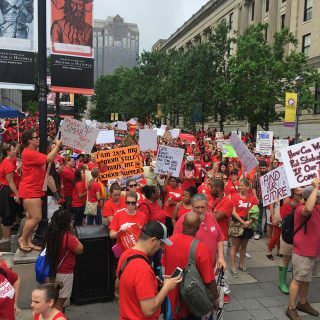 “I am 28 years old and my mom is still buying my school supplies!” On orange sign. NC NOW Legislative Update #16 of 2017 is available. This legislative update includes the latest on the Senate budget, like proposed slashes to food stamps program, and how the House is going to try address some of the outrages of it. 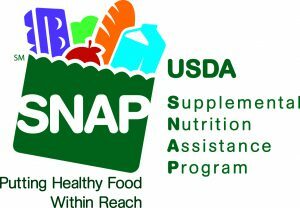 “One of the most disturbing provisions of the Senate budget is a policy change concerning eligibility for SNAP, the program that used to be called food stamps, that would effectively cut off 133,000 people from receiving nutritional assistance. 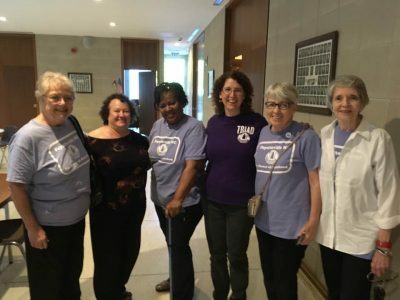 The move was not motivated by saving the state money because the program is paid for entirely with federal funds and costs the state nothing.” See http://www.wral.com/senate-budget-would-cut-off-food-aid-to-133-000/16703663/, 5/15/17. Plus, see the updates and the bill tracking that are included in all of this session’s legislative updates. 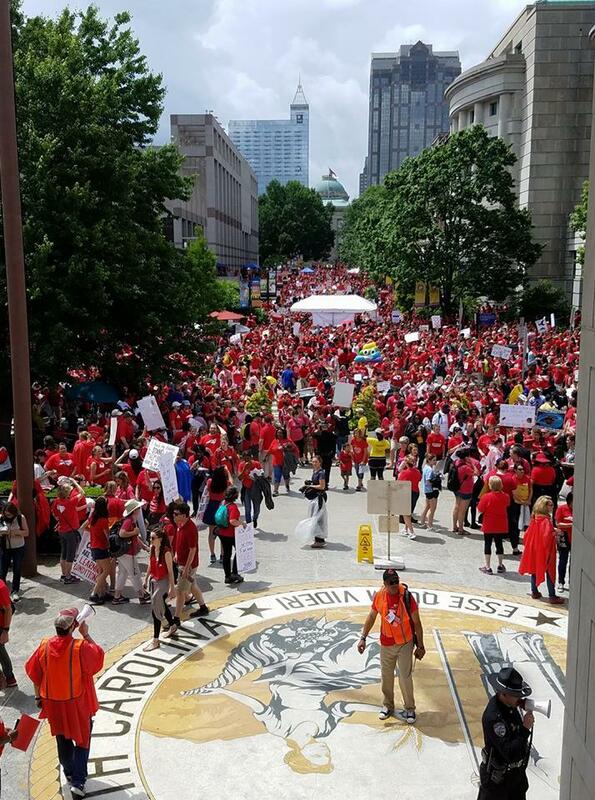 See NC NOW Legislative Update 16.